Ensuring that your loved ones are comfortable in their environment is key to their happiness. When moving to a new living space whether it be an assisted living apartment or any new senior housing situation, feeling at home might be hard to do. However, with the right tips and tricks, you can make anyone feel more at home and ready to take on a new world, a new life, and a new home. Use these decorating tips to make the senior you know feel safer, more secure, and ready to take on the new place where they will begin calling home, and becoming more comfortable with the people and their new surroundings. This should be an enjoyable journey and not one to dread. By allowing seniors to bring in their memories, whether they are favorite furniture or pictures, you ultimately allow them to feel more at ease with the belongings that they feel the most comfortable with. Using these items can make anyone feel comfortable, seniors or not. When they have the things that they were surrounded with to begin with, they are more likely to adapt and feel comfortable in the new home. Some decorating ideas include adding picture frames with loved ones in plain eyesight, putting their favorite blanket or stuffed animal on their bed for added comfort or creating a framed picture with their favorite saying hung on the wall. When it is in a new area for them, you want to make sure that they know someone that they relate to. When they can make friends, they can feel more at home when they are there. 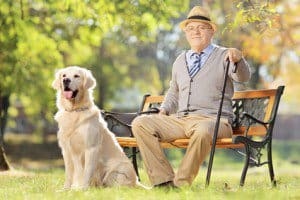 Through the introduction of new friends at the new home, the senior is able to feel more comfortable living there since they know someone to call on. Senior centers are great places for these individuals to meet and make friends since they are all living under the same roof. and they usually have scheduled activities which make socializing and meeting new friends easy. If they are moving into a senior living center that is also a medical facility, making it have a medical feeling is not going to make the place seem any more comforting or homey. You need to make sure that the area feels more like a comfortable room where they want to spend time and where they feel comfortable sleeping. You can purchase a mattress topper to make the bed more comfortable or add colorful pillows, rugs or blankets. Adding plants or flowers, real or fake, may make the room feel homier. When it is cold, open and has hospital grade items, this is not a place where they are going to feel at ease or at home. Keeping seniors busy in a new place will take their mind off being away from the home that they once had. When they feel useful in the community and where they live, they are more likely to feel comfortable living in the new home. This can allow them to feel like they are needed, or a part of a community, though smaller than what they might have been used to. If their living situation does not have scheduled activities and programs to join, be sure to do some local research of your own. Most cities have community centers with organized senior activities or try a national program like Silver Sneakers where they can exercise and stay healthy with others at their own fitness level. Opening up visiting hours, and giving them freedom is essential for making them feel more comfortable within the new living situations. Whether you are welcoming a new senior into a nursing home, or you are moving one from an old apartment to a new home, helping them become used to the new house is essential. You want to make sure that they feel comfortable, welcomed, and happy about being in the new home over the old one.